An awesome portfolio building opportunity! 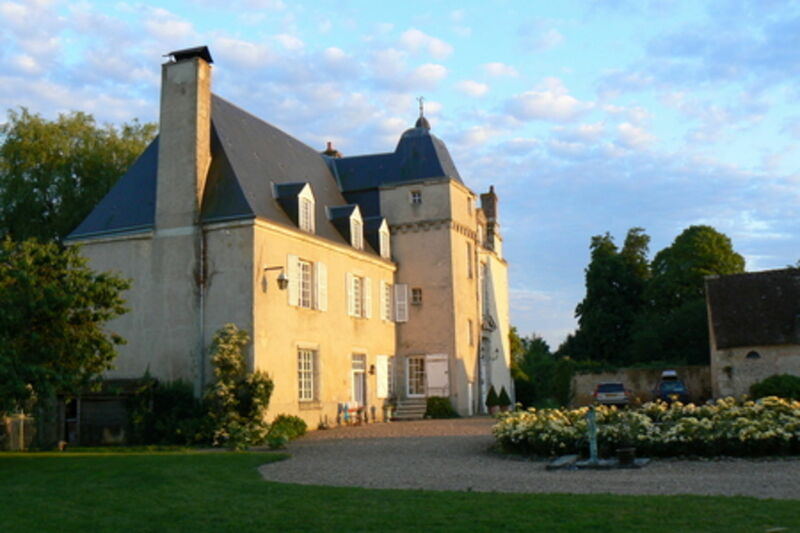 Picture a charming and beautiful Chateau in the heart of France in beautiful Normandy. Nothing but green fields, forests and hills and the occasional french farmer around. Gorgeous rooms with incredible views of the countryside. If the weather permits it, you might even take a dip in the pool (or let a model strike a pose there). A gracious host will provide us with excellent meals (breakfast, lunch and dinner) and wonderful sleeping arrangements and can tell you more about the area if you so desire. We are joined by a professional model and a professional photographer you can ask just about anything you want to know about setting up the perfect shot. We will provide some styling, from casually charming to exquisitely extravagant. You can bring your own model and styling if you like, just make sure they sign up using the form. Me and my team will be there to provide support, to shoot together and with the other attendees, and to just have a good time together! One of the models that will join us is the magical Tinotenda Mushore! From high fashion to glamour to full on fantasy, this lady can do it all! The only thing you need to organize is how to get there, and sign up before it’s too late! We’ll take care of the rest. There is limited availability. We will have room for 7 attendees. Both photographers and models are welcome to sign up. as well as paying a low introduction price. Full = full! Only people who have signed up and paid before the 2nd of October will be able to join! 9th of October: Arrival from 15:00 at the Chateau. Settling in, checking out the buildings and surroundings. Maybe take some snapshots while you’re at it. We will dine together. 10th of October: Breakfast together. After breakfast people can make plans for shoots and discuss what they want to do with whom and where. Around 11:00 I will be giving a demonstration on gelled lighting on location for those who are interested. After the demo we’ll have lunch together and after lunch everyone is free to shoot inside or outside, hang out, etc. In the evening we will have dinner together. The evening is free to fill in how you like. Be it more shoots or just hanging out! 11th of October: Breakfast together. After breakfast people can make plans for shoots and discuss what they want to do with whom and where. Around 11:00 I will be giving a demonstration about styling, posing your model, working with natural light, making it work in your favor and how to make it look dramatic and interesting, for those who are interested. After the demo lunch will be served. After lunch everyone is free to shoot inside or outside, hang out, relax, take a walk. In the evening we will have dinner together. The evening is free to fill in how you like. Be it more shoots or just relaxing! 12th of October: Breakfast together, after which we will leave before 12:00 for the trip back home!